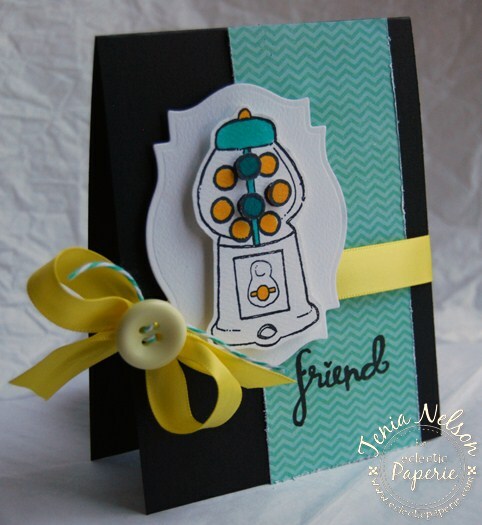 Tenia here from Jazzy Paper Designs!! I created a card using some awesome eP goodness and it goes a lil somethin' like this......CHECK IT!!! I used the Sweet Stamp Shop's Sweet Tooth set, A Button from Buttons Galore and More, Copic Markers, Tuxedo Black Ink by Tsukineko and Caribbean Twine from the Twinery!! I hope y'all enjoyed my project today!!! Thanks for stopping by and have a wonderful day!!! Loving this color combo! Great card. Thanks for the inspiration!